I pride myself on listening to a wide variety of music. I'm also a solid asset to have on your trivia team if music or lyrics are the categories. Still, I have to admit that I've missed or glossed over many artists, some of them legends. 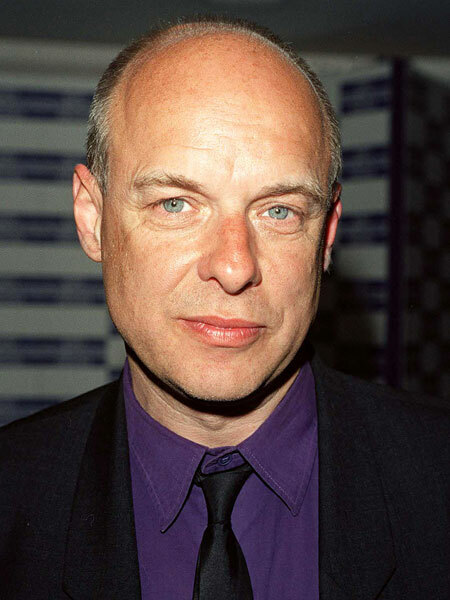 This is the case with Brian Eno. Yes, I've heard of Roxy Music, and I know about his many collaborations with artists I do know and love. I just never took the time out to listen to any of his work. I'm sure I've heard some of it. Maybe I've heard a lot and never knew. In the end I have to hang my head in shame and admit there's a living music legend I not hip to. Until now. I'm going to pause here to bring up a point. Being unfamiliar with an artist can actually be a benefit when you write for a music blog. I'm about to talk about a new album with no existing context or preconceived notions based on previous works by the artist. That may be good or bad, but it makes me feel pure and innocent in some way. Brian Eno's newest recording, Drums Between The Bells, hits stores Monday, July 4th. Some of you will be camping then, or are already camping instead of reading this, and I don't blame you. We'll all have to get back to the grind at some point, though, and this album might be a nice segue. It's atmospheric and dreamy, but there are moments of harshness and experimentation that keep it from floating off into space. Poet Rick Holland wrote all the lyrics, though they are presented (mostly in spoken-word style over the musical background) by a number of guest vocalists. To keep this post shorter and give you more time to light things on fire, I'll just post a couple tracks I like. It's up to you to listen to the rest. Ok, just a couple points I feel I should add. Disc 1 of the album includes the vocals; disc 2 is the same songs in instrumental form. There is some cute wordplay between the two, such as the track "Dow," which becomes "Nikkei" on the second disc. If you have a large stock portfolio you're laughing your head off right now. I also want to bring up that musically this reminds me A LOT of post-rock bands like Sigur Ros or Pacific UV. With the exception of a few more frenetic tracks, this would fit in perfectly with your collection if you are a fan of that genre or shoegaze. It would also be great background listening when you just need to relax a bit. It's absolutely gorgeous at times, and always a good listen. I hope you all enjoy your holiday, even if it's just a long weekend at home.